For the purpose of providing compatible authentication, authorization, and cryptographic key agreement mechanisms to support secure communication between devices connected by IEEE 802¿¿ Local Area Networks (LANs), this standard a) Specifies a general method for provision of port-based network access control. b) Specifies protocols that establish secure associations for IEEE Std 802.1AE¿¿¿ MAC Security. c) Facilitates the use of industry standard authentication and authorization protocols. Revision Standard - Active. Port-based network access control allows a network administrator to restrict the use of IEEE 802 LAN service access points (ports) to secure communication between authenticated and authorized devices. 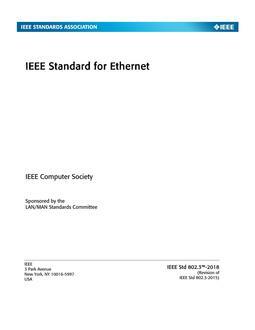 This standard specifies a common architecture, functional elements, and protocols that support mutual authentication between the clients of ports attached to the same LAN and that secure communication between the ports, including the media access method independent protocols that are used to discover and establish the security associations used by IEEE 802.1AE MAC Security. 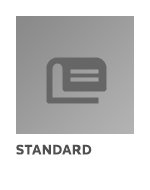 The "IEEE Get Program" grants public access to view and download individual PDFs of select standards at no charge. Visit http://standards.ieee.org/about/get/index.html for details.